Retail stores in the UK have grown in size and operation. The chain of various processes has elongated posing a great challenge to security. There are a number of issues that need to be addressed by beefing up security. Primarily, you need to secure your retail space. Internal thefts are a common affair in retail stores; added to that, there are shoplifters and even those who come with stolen credit cards. To be able to deal with all such situations you need professional Retail Guarding and, who can match our services it that context. We are one of the most distinguished Manned Guarding Companies In Kent. You can hire Store Detectives from us and strengthen security in your retail store. Our detectives are adept in solving cases of internal theft, loss or business disruption and are trained keeping in mind modern security challenges. Our detectives keep a vigilant eye on all the proceedings in the retail store and in case of any wrongdoing, follow the suspects until authorities are informed to make an arrest. 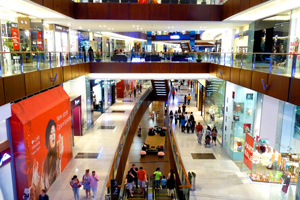 So, to stay focused on your core processes and to manage your retail store smoothly you should contact Response UK Security Ltd. We provide a host of Retail Guarding Services including theft prevention, customer care and assistance to shoppers, lost child procedures, and civil arrest and police liaison. No doubt, we are among the most reliable Security Guarding Companies In Kent.